The top three security trends of 2013 will only strengthen in 2014. Hackers abusing new payment options, browser toolbars spreading extensively, and new privacy issues have defined this year’s trends of security threats and nuisances. 2013 has been the year of new payment methods, including SMS, WAP and NFC payment – and with these new options, hackers have increased their efforts to develop new ways to steal users’ money. 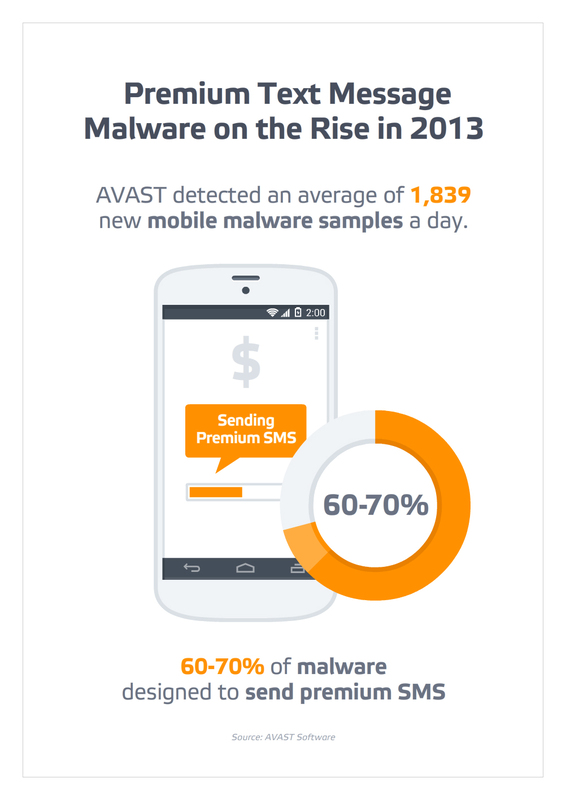 AVAST this year has also seen more targeted attacks where the goal is to steal users‘ financial transaction data and ultimately their money. This for example includes hacking specific banks by manipulating their Internet banking interfaces to steal the customer’s personal data. Another trend that snuck up on users in 2013 and strikes instant recognition among people who have experienced it, are browser extensions. The numbers AVAST has collected so far are enormous. The antivirus software company has identified more than 6.1 million different browser extensions for Internet Explorer, Firefox, and Chrome in just eight months. Unwanted toolbars are a pain everyone can relate to and we would argue they are the first major consumer security outbreak since spyware. 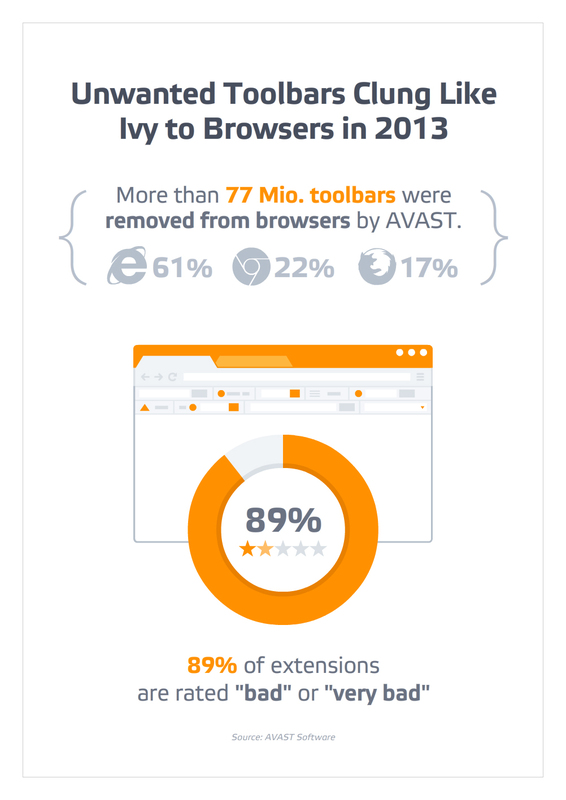 Our experts at AVAST say that we are in the era of new ‘spyware’, but this time it's even more insidious especially since many players in the security space are actually in the game themselves by pushing the toolbars onto customers. NSA has people spooked about privacy – who is watching you? The intrusion of people’s online privacy and extensive access of personal data online has been an issue for the past years, but only through scandals such as the NSA’s unveiled spying activities, have concerns regarding the loss of privacy become mainstream. With the wide proliferation of cloud computing, social networking and mobile devices, the end consumer no longer only stores and transfers personal data locally on a PC, but within apps and services on external servers as well. An example of privacy intrusion using data is that mobile devices can be tracked precisely via location tracking – and it is not only the NSA that has accessed this data, users give it away voluntarily, often without awareness, to their app and third party providers. AVAST has recognized an increased demand for respective solutions and predicts that in the upcoming year an increased amount of people will be looking for effective means of privacy protection.